It's Day 2 of the MFT November Release Countdown. We're so close to the release day! 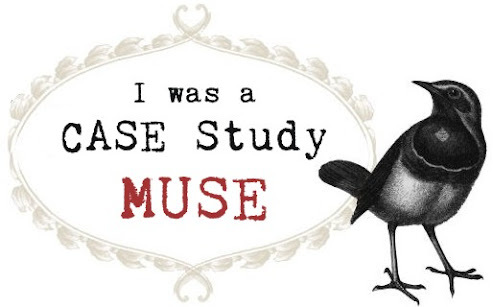 The new products will be available for purchase TOMORROW at 10:00 pm EDT! Today I'm showcasing the super cute stamp set & Die-namics designed by Laina Lamb! I started my card with a Latte card base. I cut a panel of Milk Chocolate CS using the Stitched Scallop Basic Edges Die-namics, white embossed the sentiment from the Cookie Crumbs stamp set on it, and drew a dashed line along the top edge with a white pigment marker. I adhered this panel to the card base along with a panel of patterned paper, which is from the new Kraft Collection - Solid Stripes Paper Pack. I die cut the milk bottle and the cookies using the You're the Milk to My Cookie Die-namics, and I slightly inked around the edges of each die cut piece for a dimensional look. I love that the scallop cookie die can be used as icing. :) After I adhered them to the card with foam tape, I added three tiny hearts using Crystal Drops (Gloss White). Today I'm sharing an interactive card that I made using the Ice Skater stamp set from Pure Innocence line and the Downhill Slope Die-namics. I also used the Chill Wishes stamp set & Die-namics and the Simply Snowflakes stamp set for my background scene. This card is a part of this month's Release Class. You can see how I made this card in a downloadable PDF that will be available on the release day (November 1st) HERE. Make sure that all the new products will be available for purchase on November 1st at 10:00 pm EDT. Welcome to Day 4 of the MFT November Release Countdown! 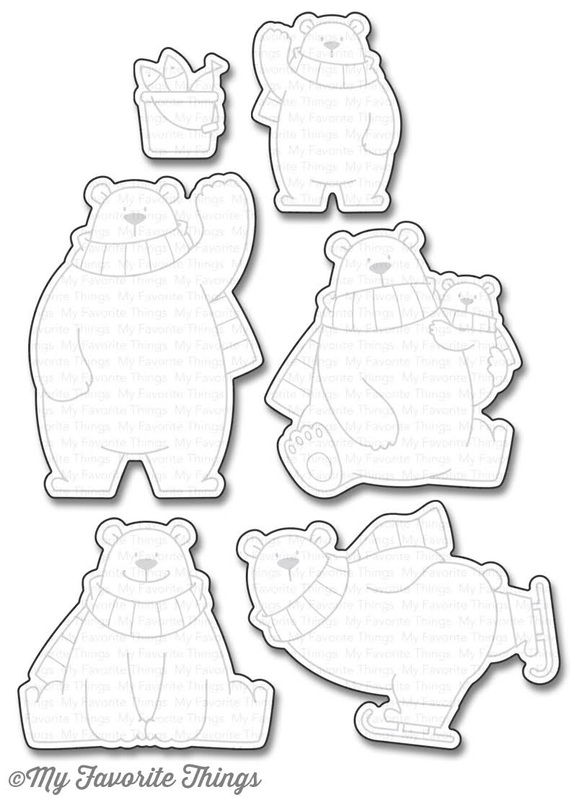 Today I'm introducing you my new stamp set & matching dies, Polar Bear Pals and Icebergs Die-namics (Die-namcs only). 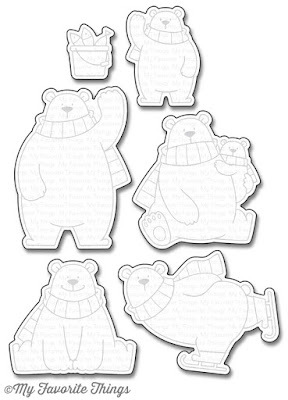 The Polar Bear Pals stamp set includes five polar bear images, one accessory stamp, and seven sentiments that can be used on many occasions. My most favorite part about this set is that you can create "family" scenes with combining some of the polar bears. Especially when the little bear stands next to the papa bear who is waving, they look so cute and funny! :) The Icebergs Die-namics is a must have to build a scene for these polar bears! I have two cards to share with you today. For my first card I combined the sitting polar bear with the new Starry Circle Die-namics. First I cut a panel of Smooth White and die cut out the circular opening from it with the Starry Circle Die-namics and the Polar Bear Pals Die-namics using the partial die-cut technique. I added the zig-zag stitching lines along the both side edges of the panel using the Basic Stitch Lines Die-namics. After I stamped and colored the polar bear, I stamped the sentiment in Gravel Gray. I blended some Distress Inks (Wilted Violet and Milled Lavender) on a piece of Smooth White CS and cut it with the Starry Circle Die-namics. I adhered plaid patterned paper and a panel of Banana Split to the card base, then adhered the starry sky panel using the top panel as a guide. Finally, I attached the top panel with foam tape. For my second card, I just thought that the Horizontal Snow Drifts Cover-Up Die-namics would match well with those waving polar bears. I stacked up the other frames, put some sequins to each cell, and added a panel of acetate over it. I die cut another snow drifts frame from Whip Cream CS and adhered. All the new products will be available for purchase on November 1st at 10:00 pm EDT. Make sure to visit the MFT blog to see all the products revealed today and for more inspiration from the DT!